Jack and his twin sister Rebecca, who live in Watford, were both born with Cerebral Palsy, which affects the movement of their legs. Their physiotherapist believed that if the twins could be encouraged to pedal a tricycle, it would improve their chances of being able to walk in later life. Our team modified two children’s tricycles, provided through the generous support of the local Watford community, to suit their particular needs. 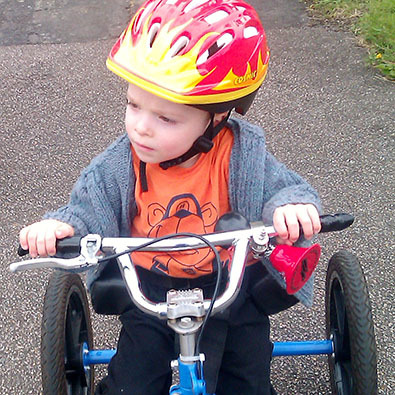 Jack and Rebecca now enthusiastically and energetically ride their trikes whenever they can.